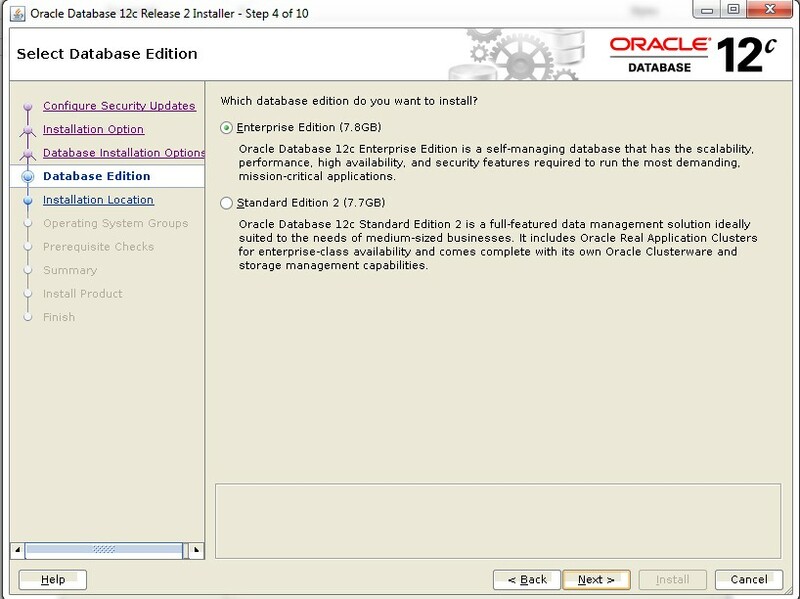 Oracle database version 12.2.0.1 is recently released. I searched the database software for Solaris platform, Found it in oracle edelivery. I downloaded the software from edelivery and did an installation and upgrade on a test box. Preupgrade tool is available under new $ORACLE_HOME/rdbms/admin. destination(s) to generate archived logs to. Please take necessary again if any issues reported by the precheck script. 3. Make sure source db in archivelog mode. 4. 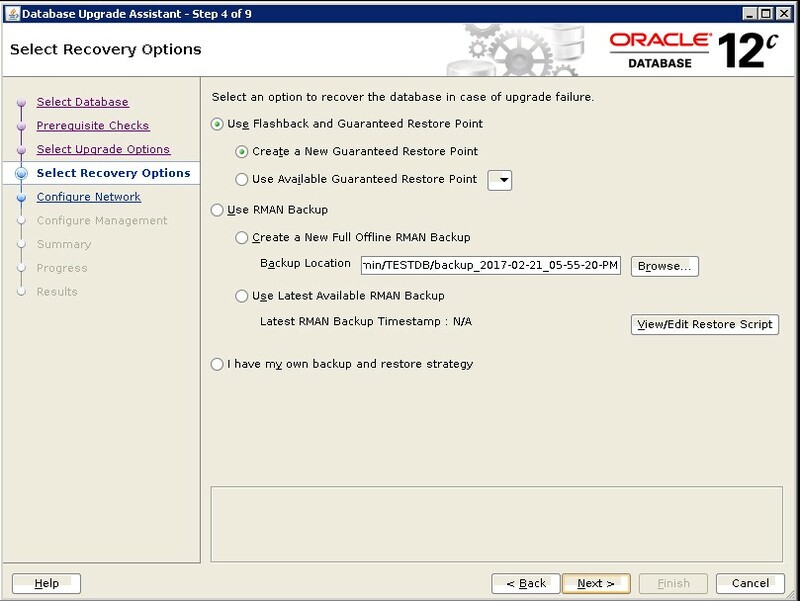 Enable flashback mode, to enable restore in case of any failure during upgrade. This screen has been changed, compare to previous dbua in 12.1.0.2. 2. No option to control utlrp.sql compliation parallelism thread. Select FLASHBACK OPTION, It will create a guaranteed restore point. We have a PAUSE button here. Let’s click and see if we can resume it later or not. 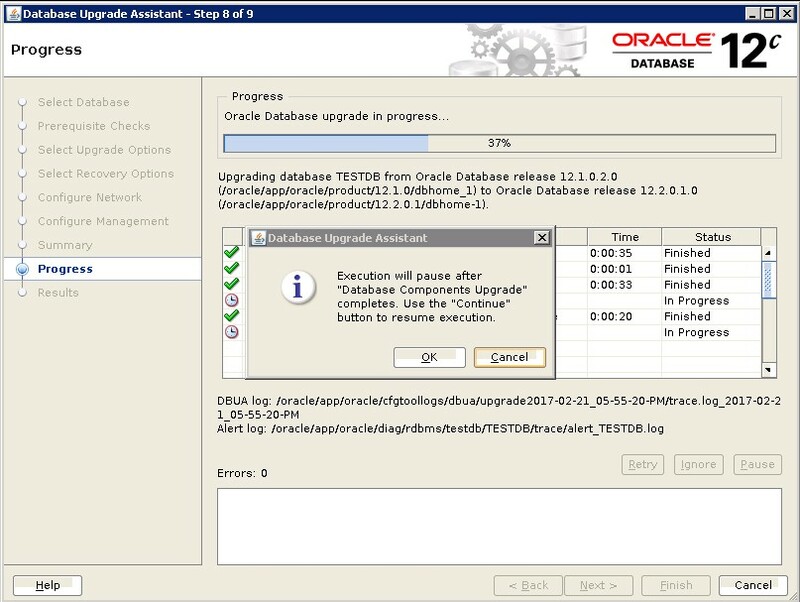 Message shows, Executions will pause after Database Components Upgrade is completed. I.e PAUSE will not stop the upgrade process instantly, It will wait for the current phase to complete. So upgrade continued until the Database components Upgrade completed. You can monitor the upgrade log at below location. 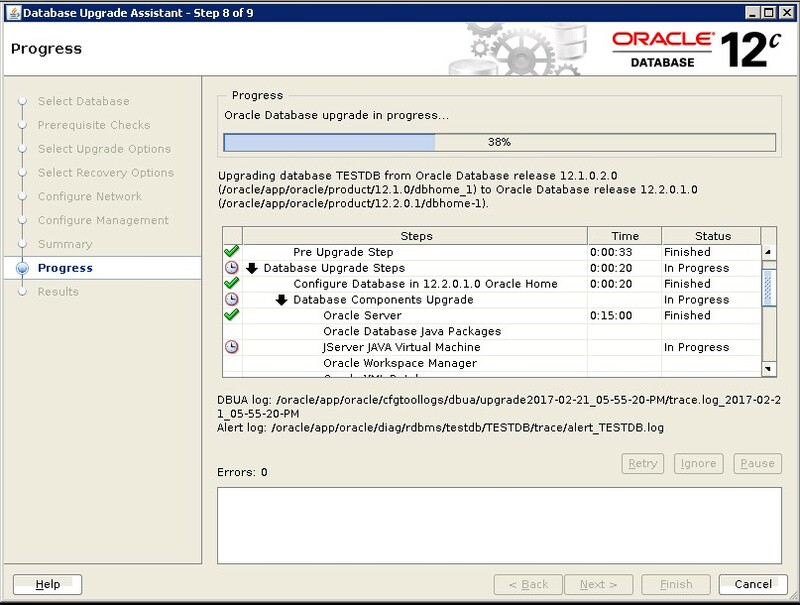 As soon as database upgrade component completed upgrade stopped due to PAUSE button we have used. Click on Continue to resume the upgrade . Upgrade has been completed successfully. Database time zone version is 26. It meets current release needs. 5. Upgrade tables depends on oracle maintained Type. If above query returns any rows and run the below script. Now database is ready for use. 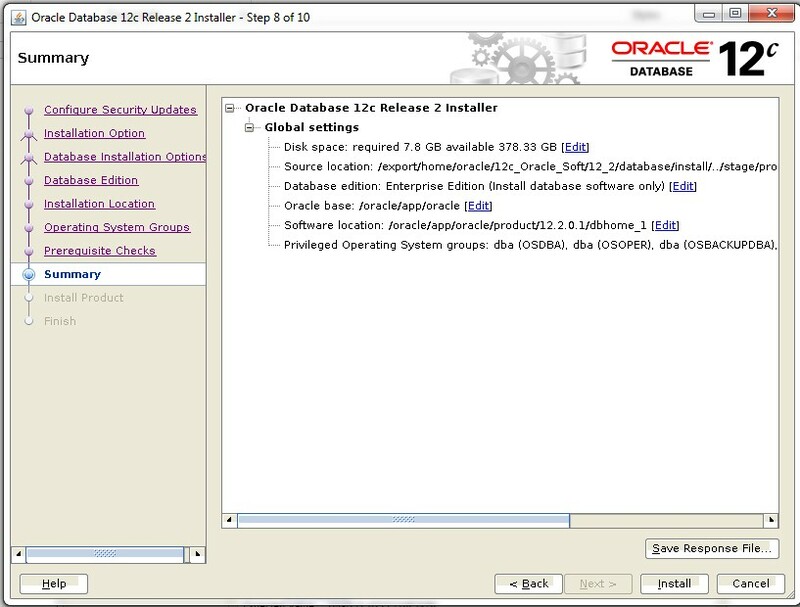 NOTE: Currently full version of oracle 12.2. is available in oracle support. We are planning to pgrade the exadata databases to 12.2 next week. Thanks Naresh. Please share your experience and issues you faced post upgrade. Will this upgrade take any downtime? Yes, all upgrades need downtime. The database will be in MIGRATE mode during this activity. DBUA upgrade has been very much simplied . So it is very much recommended to use DBUA for upgrade acitivity.